United Artists Corporation is an American film studio. The original studio of that name was founded in 1919 by D. W. Griffith, Charles Chaplin, Mary Pickford and Douglas Fairbanks. The current United Artists formed in November 2006 under a partnership between producer/actor Tom Cruise and his production partner, Paula Wagner, and Metro-Goldwyn-Mayer Studios Inc., an MGM company. Paula Wagner left the studio on August 14, 2008. Cruise owns a small stake in the studio, a subsidiary of MGM Studios. MGM is owned by MGM Holdings. UA was incorporated as a joint venture on February 5, 1919, by four of the leading figures in early Hollywood: Mary Pickford, Charles Chaplin, Douglas Fairbanks, and D. W. Griffith. Each held a 20% stake, with the remaining 20% held by lawyer William Gibbs McAdoo. The idea for the venture originated with Fairbanks, Chaplin, Pickford, and cowboy star William S. Hart a year earlier as they were traveling around the U.S. selling Liberty bonds to help the World War I effort. Already veterans of Hollywood, the four film stars began to talk of forming their own company to better control their own work as well as their futures. They were spurred on by established Hollywood producers and distributors who were tightening their control over actor salaries and creative decisions, a process that evolved into the rigid studio system. With the addition of Griffith, planning began, but Hart bowed out before things had formalized. When he heard about their scheme, Richard A. Rowland, head of Metro Pictures, is said to have observed, "The inmates are taking over the asylum." The four partners, with advice from McAdoo (son-in-law and former Treasury Secretary of then-President Woodrow Wilson), formed their distribution company, with Hiram Abrams as its first managing director. The original terms called for Pickford, Fairbanks, Griffith and Chaplin to independently produce five pictures each year. But by the time the company got under way in 1920–1921, feature films were becoming more expensive and more polished, and running times had settled at around ninety minutes . It was believed that no one, no matter how popular, could produce and star in five quality feature films a year. By 1924, by which time Griffith had dropped out, the company was facing a crisis: either bring in others to help support a costly distribution system or concede defeat. The veteran producer Joseph Schenck was hired as president. Not only had he been producing pictures for a decade, but he brought along commitments for films starring his wife, Norma Talmadge, his sister-in-law, Constance Talmadge, and his brother-in-law, Buster Keaton. Contracts were signed with a number of independent producers, most notably Samuel Goldwyn, Alexander Korda and Howard Hughes. Schenck also formed a separate partnership with Pickford and Chaplin to buy and build theaters under the United Artists name. They also began international operations, first in Canada, then in Mexico, and by the end of the 1930s, United Artists was represented in over 40 countries. Still, even with a broadening of the company, UA struggled. The coming of sound ended the careers of Pickford and Fairbanks. Chaplin, rich enough to do what he pleased, worked only occasionally. Schenck resigned in 1933 to organize a new company with Darryl F. Zanuck, Twentieth Century Pictures, which soon provided four pictures a year to UA's schedule. He was replaced as president by sales manager Al Lichtman who himself resigned after only a few months. Pickford produced a few films, and at various times Goldwyn, Korda, Walt Disney, Walter Wanger, and David O. Selznick were made "producing partners" , but ownership still rested with the founders. As the years passed and the dynamics of the business changed, these "producing partners" drifted away, Goldwyn and Disney to RKO, Wanger to Universal Pictures, Selznick to retirement. 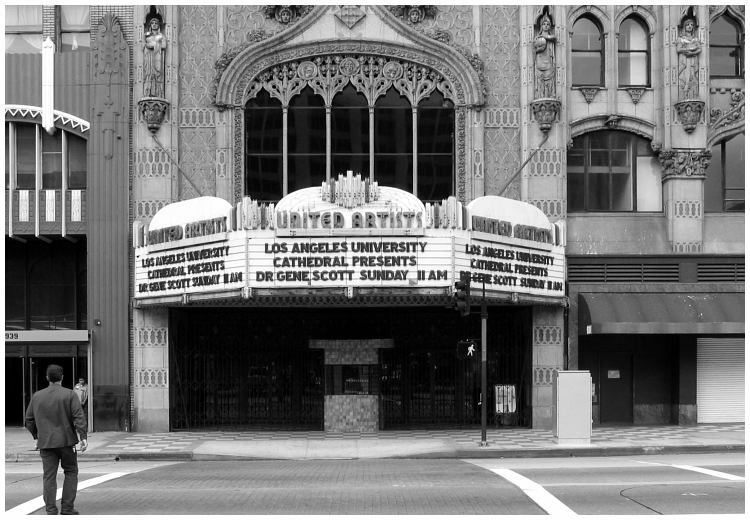 By the late 1940s, United Artists had virtually ceased to exist as either a producer or distributor. It sold off its Mexican releasing division to Crédito Cinematográfico Mexicano, a local company. The Society of Independent Motion Picture Producers was founded in 1941 by Mary Pickford, Charlie Chaplin, Walt Disney, Orson Welles, Samuel Goldwyn, David O. Selznick, Alexander Korda, and Walter Wanger – many of the same people who were members of United Artists. Later members included Hunt Stromberg, William Cagney, Sol Lesser, and Hal Roach. The Society aimed to advance the interests of independent producers in an industry overwhelmingly controlled by the studio system. SIMPP also fought to end ostensibly anti-competitive practices by the seven major film studios – Metro-Goldwyn-Mayer, Columbia Pictures, Paramount Pictures, Universal Studios, RKO Radio Pictures, 20th Century Fox, and Warner Bros. – that controlled the production, distribution, and exhibition of films. In 1948, the U.S. Supreme Court Paramount Decision ordered the major Hollywood movie studios – Loews Theaters/Metro-Goldwyn-Mayer, Paramount Pictures, Warner Bros., 20th Century Fox and RKO Radio Pictures – to sell their theater chains and to eliminate certain anti-competitive practices. This effectively brought an end to the studio system. By 1958, many of the objectives that led to the creation of the SIMPP had been obtained and SIMPP closed its offices. On February 16, 1951, two lawyers-turned-producers Arthur Krim (of Eagle-Lion Films) and Robert Benjamin approached Pickford and Chaplin with a wild idea: let them take over United Artists for five years. If, at the end of those five years, UA was profitable, they would be given an option to buy the company. Since UA was barely alive, Pickford saw nothing to lose and agreed. Chaplin was against the deal, but changed his mind in late 1952 when the US government revoked his re-entry visa while he was in London for the UK premiere of Limelight. He sold his remaining shares of UA several years later. In taking over UA, Krim and Benjamin created the first studio without an actual "studio". Primarily acting as bankers, they offered money to independent producers. UA leased space at the Pickford/Fairbanks Studio, but did not own a studio lot as such. Thus UA did not have the overhead, the maintenance, or the expensive production staff that ran up costs at other studios. Among their first clients were Sam Spiegel and John Huston, whose "Horizon Productions" gave UA one major hit, The African Queen and one slightly less successful one, Moulin Rouge , based on the life of Toulouse-Lautrec. Others followed, among them Stanley Kramer, Otto Preminger, Hill-Hecht-Lancaster Productions, and a number of actors, newly freed from studio contracts and anxious to produce or direct their own films. UA production-head Arnold Picker selected the properties the company would back. With UA's new success, Pickford saw a chance to exit gracefully, though she still held out for top dollar, walking away with $1.5 million in 1955. That same year, UA won its first Best Picture Oscar, for the film Marty. It starred Ernest Borgnine, who won a Best Actor Oscar for his performance. UA went public the following year, and as the other mainstream studios fell into decline, UA prospered, adding relationships with the Mirisch brothers, Billy Wilder, Joseph E. Levine and others. In 1961, United Artists released West Side Story, an adaptation of the Leonard Bernstein-Stephen Sondheim stage musical, which won a record ten Academy Awards . In 1958 United Artists Records was created, initially to release soundtracks from UA films, but it later diversified into many types of music. In 1968, UA Records was merged with Liberty Records, along with their many subsidiary labels such as Imperial Records and Dolton Records. In 1972 the group was consolidated into one entity as United Artists Records. It was later taken over by EMI. Also in 1958 UA acquired Ilya Lopert's Lopert Pictures Corporation a company that released foreign films in the United States to release foreign films that may have attracted criticism or cause censorship problems. In 1964 UA released the controversial Billy Wilder American made film Kiss Me, Stupid under the Lopert name. Lopert later became vice-president of United Artists in Paris. In 1959, United Artists offered its first ever television series, The Troubleshooters , an adventure/drama on NBC, starring Keenan Wynn and Bob Mathias, as employees of an international construction company. In 1960, United Artists purchased Ziv Television Programs and, using the idea of financial backing for television, UA's television division was responsible for shows such as CBS's Gilligan's Island and three ABC programs, The Fugitive with David Janssen, Outer Limits, a science fiction series, and The Patty Duke Show with Patty Duke and William Schallert. The television unit also had begun to build up a substantial – and profitable – rental library, having purchased Associated Artists Productions, owners of Warner Bros. pre-1950 features, shorts and cartoons, as well as the Popeye cartoons, purchased from Paramount Pictures a few years earlier. . In 1963 United Artists released two Stanley Kramer films, the epic comedy It's A Mad, Mad, Mad, Mad World and the drama A Child is Waiting. In 1964, UA introduced U.S. film audiences to The Beatles by releasing producer Walter Shenson's A Hard Day's Night and Help! . .
At the same time it backed two expatriate North Americans in Britain, who had acquired screen rights to Ian Fleming's James Bond novels. For $1 million, UA backed Harry Saltzman and Albert Broccoli's Dr. No and launched the James Bond series. The franchise has outlived UA's time as a major studio, still running half a century later. Other successful projects backed in this period included Blake Edwards's Pink Panther series, which began in 1964, and Sergio Leone's Spaghetti Westerns, which made a star of Clint Eastwood. In 1964, the French subsidiary Les Productions Artistes Associés released its first production, That Man From Rio. On the basis of its fantastic string of film and television hits in the 1960s, the company was an attractive property, and in 1967 Krim and Benjamin sold control of UA to the San Francisco-based insurance giant, Transamerica Corp.
UA released another Best Picture Oscar winner in 1967, In the Heat of the Night, starring Sidney Poitier and Rod Steiger, and a nominee for Best Picture, The Graduate, an Embassy production that UA distributed overseas. For a time the flow of successful pictures continued, including the 1971 screen version of Fiddler on the Roof. New talent was encouraged, including Woody Allen, Robert Altman, Sylvester Stallone, Saul Zaentz, Miloš Forman, and Brian De Palma. In 1973, UA took over the sales and distribution of MGM's films in Anglo-America, while Cinema International Corporation took over international distribution rights. In 1975, Harry Saltzman sold UA his 50% stake in Danjaq, LLC, the holding-company for the Bond films. UA was to remain a silent partner, putting up money, while Albert Broccoli took producer credit. Danjaq and UA have remained the public co-copyright holders for the Bond series ever since, and the 2006 Casino Royale release shares the copyright with Columbia Pictures, part of the consortium that now owns MGM/UA. However, Transamerica was not pleased with UA's frequent releases of films rated X by the Motion Picture Association of America, such as Midnight Cowboy and Last Tango in Paris; in these instances, Transamerica demanded the byline "A Transamerica Company" be removed from the UA logo on the prints and in all advertising. At one point, the parent company expressed their desire to phase out the UA name and replace it with Transamerica Films. Finally in 1978, following a dispute over administrative expenses, UA's top executives, including Arthur B. Krim, chairman, Eric Pleskow, president and chief executive officer, Robert S. Benjamin, chairman of the finance committee, walked out. Within days they announced the formation of Orion Pictures, with backing from Warner (Orion would eventually be a part of MGM along with United Artists, while Warner retained the rights to the pre-1981 Orion library along with acquiring the rights to a few post-1981 Orion films.) The departures of Krim, Pleskow and Benjamin concerned several Hollywood figures enough that they took out an ad in a trade paper warning Transamerica that it had made a fatal mistake in letting them go. The new leadership of UA agreed to back Heaven's Gate, the pet project of director Michael Cimino, who had won Academy Awards for Best Picture and Best Director for his 1978 film The Deer Hunter. A western starring Kris Kristofferson and Christopher Walken, Heaven's Gate had an unusually protracted shooting schedule which generated adverse publicity about runaway costs and Cimino's autocratic style. The almost four-hour film opened to scathing reviews and alienated audiences. Cimino pulled it in favor of a 149-minute version, but the damage was done. It turned out to be a colossal box office bomb, netting only $3 million in earnings compared to a budget of $44 million. United Artists recorded a major loss for the year due almost entirely to the Heaven's Gate fiasco. To Transamerica, it was only a blip on a multi-billion dollar balance sheet, but it soured the relationship forever. To the greater Hollywood community, it also signaled that UA was a company that could no longer produce bankable pictures. The Heaven's Gate fiasco may have saved the United Artists brand as UA's final head before the sale, Steven Bach, wrote in his book Final Cut that there was talk about renaming United Artists to Transamerica Pictures. Despite the financial ruin, UA's blockbuster franchise films were emphasized more heavily than the financially unsuccessful films. In 1981, United Artists Classics, which had formerly been a division of the company that re-released library titles, was turned into a first run art film distributor by Nathaniel T. Kwit Jr. Tom Bernard was hired as the division's head of sales, and Ira Deutchman as its head of marketing. Later the division added Michael Barker and Donna Gigliotti. Deutchman left to form Cinecom, and Barker and Bernard later went on to form Orion Classics and Sony Pictures Classics. The label mostly released foreign and independent films such as Ticket to Heaven and The Grey Fox, and occasional first-run reissues from the UA library, such as director's cuts of Joan Micklin Silver's Head Over Heels and Ivan Passer's Cutter's Way. When Barker, and Bernard left to form Orion, the label was briefly rechristened MGM/UA Classics before it was finally shut down in the late 1980s. Around 1980, Transamerica was giving up from the filmmaking business, and United Artists was put up for sale. Bidders included Warner Communications, Taft Broadcasting and Viacom. MGM, led by Kirk Kerkorian, made a last-minute bid for UA by estimating that MGM would pay UA $350 million in distribution fees if the expiring distribution deal was renewed and used the estimated amount to offer the $350 million to Transamerica to buy United Artists. Transamerica said yes and MGM absorbed UA. The studio, which was essentially bankrupt following the disaster of Heaven's Gate, cut its production schedule sharply. MGM and UA were merged into MGM/UA Entertainment Co. from 1981 to 1986. Because MGM was not able to leave Cinema International Corporation (which distributed MGM's films outside Anglo-America) which joined in 1973, UA's international operations were merged with CIC, eventually becoming United International Pictures. MGM/UA would drop out from the venture in 2000, as its films were released internationally by 20th Century Fox. UA was essentially dormant after 1990, releasing no films for several years. In part this was due to the continuing turmoil at MGM/UA; bought by Ted Turner in 1986, he could not get financial backing to complete the deal and, seventy-four days later, re-sold UA and the MGM trademark to Kerkorian, sold the MGM studio lot to Lorimar while keeping the MGM/UA library for himself . As a result of the MGM split from Turner, United Artists was subsequently reorganized, and changed its name to MGM/UA Communications Co. after Kerkorian bought back the MGM trademark. As a result, both MGM and UA became merely brands of MGM/UA Communications Co. In 1988, a planned $400-million split between MGM and UA was announced by Kerkorian. He hoped to end up with at least 57% of the new MGM and retain its share of UA . 25% of MGM would go to a company controlled by Burt Sugarman and producers Jon Peters and Peter Guber, and 18% would be offered for sale to public holders of MGM/UA stock, but the plan fell through. Around this time, Viacom, Gannett, Disney, Republic Pictures, General Electric, CBS, Time Inc., Hearst, News Corporation, Tele-Communications, Inc., Globo of Brazil, Aaron Spelling's Spelling Entertainment and Sony all tried to purchase MGM/UA. Nevertheless, the studio was able to manage box-office hits such as Rain Man , Baby Boom, and The Living Daylights. However, during this period, the company's fortunes languished greatly, losing money while its market share declined to 8% by the end of the 1980s. The sale of MGM/UA to an Australian company Qintex/Australian Television Network in 1989 also fell through, due to the company's bankruptcy later that year. Eventually, in 1990, came the sale to Italian promoter Giancarlo Parretti who purchased Pathé the previous year and merged MGM/UA with the former company, resulting into MGM/Pathé Communications Co. Having bought MGM/UA by overstating his own financial condition, within a year Parretti had defaulted to his primary bank, Crédit Lyonnais, which foreclosed on the studio in 1992, also resulting in the sale orclosure of MGM/UA's string of US theaters. On July 2, 1992, MGM/Pathé Communications Co. was renamed to Metro-Goldwyn Mayer, Inc. In an effort to make MGM/UA saleable, Credit Lyonnais ramped up production, reviving two long-running franchises, the Pink Panther and James Bond films. MGM was sold in 1997, again to Kirk Kerkorian. During the 2000s, UA was repositioned as a specialty studio. MGM had just acquired The Samuel Goldwyn Company, which had been a leading distributor of arthouse films, and after that name was retired, UA assumed SGC's purpose. The distributorship, branding, and copyrights for UA's main franchises were moved to MGM, although select MGM releases (notably the James Bond franchise co-held with Danjaq, LLC and the Amityville Horror remake) carry a United Artists copyright. UA (re-christened United Artists Films) distributed a few "art-house" films, among them Michael Moore's Bowling for Columbine; 2002's Nicholas Nickleby and the winner of that year's Academy Award for Best Foreign Language Film, No Man's Land; and 2004's Hotel Rwanda, a co-production of UA and Lions Gate Entertainment. On April 8, 2005, a partnership of Comcast, Sony and several merchant banks bought United Artists and its parent, MGM, for a total of $4.8 billion. In March 2006, MGM announced that it would return once again as a distribution company domestically. Striking distribution deals with The Weinstein Company, Lakeshore Entertainment, Bauer Martinez Entertainment and other independent studios, MGM distributes films from these companies. MGM continues funding and co-producing projects that are released in conjunction with Sony's Columbia TriStar Motion Picture Group on a limited basis and is producing "tentpoles" for their own distribution company MGM Distribution. Sony has a minority stake in MGM but otherwise MGM and UA will operate under the direction of Stephen Cooper . On November 2, 2006, MGM announced that actor Tom Cruise and his long-time production partner Paula Wagner were resurrecting UA (this announcement came after the duo were released from a fourteen-year production relationship at Viacom-owned Paramount Pictures earlier that year). Cruise, Wagner and MGM Studios created United Artists Entertainment LLC and, today, the producer/actor and his partner own a small stake in the studio, with the approval by MGM's consortium of owners. The deal gave them control over production and development of films. Wagner was named CEO of United Artists, which was allotted an annual slate of four films with different budget ranges, while Cruise serves as a producer for the revamped studio as well as serving as the occasional star. UA became the first motion picture studio granted a WGA waiver in January 2008 during the Writers' Strike. On August 14, 2008, MGM announced Paula Wagner will leave United Artists to produce films independently. Her output as head of UA was two films, both starring Cruise, Lions for Lambs and Valkyrie, which despite mixed reviews was successful at the box office. Wagner's departure led to speculation that an overhaul at United Artists was imminent. Since then, United Artists has merely served as a co-producer with MGM for two releases: the 2009 remake of Fame and Hot Tub Time Machine. Throughout 2010, continued debt and credit issues for MGM Holdings, Inc., United Artists' parent company had left the future of MGM and UA in doubt until it was resolved near the end of the year. While MGM was taken over by Spyglass Entertainment, it is not currently known what will become of United Artists in the near future. Whole or part of the information contained in this card come from the Wikipedia article "United Artists", licensed under CC-BY-SA full list of contributors here.